Have You Ever Tried Imitating Someone Else’s Design Style? Have you ever tried imitating someone else’s design style? We all have other stampers that we admire and I’m no exception to that rule. I really enjoy looking at things created by people whose design style is completely different than mine! Every now and then, I like to try to stretch my skills by imitating a style that really isn’t “me”. I also like to participate in challenges! Today, I did both! Individually, all of the parts of this card are “me”. It’s the layering that I’m working on. My style is layering when all the layers increase by 1/8 to 1/4 of an each. This style is layering with what feels like random sizes so you have smaller pieces of layers peeking out from below the top elements. This style also includes more elements on one card than I’m comfortable with!!! 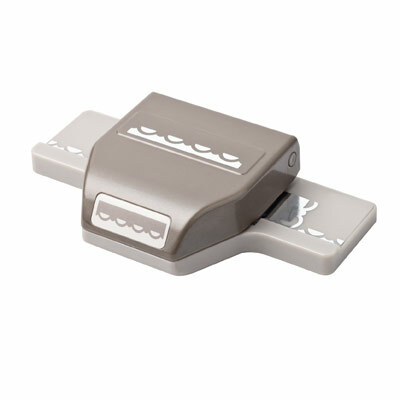 Purchase your supplies online at mystampingstore.com! 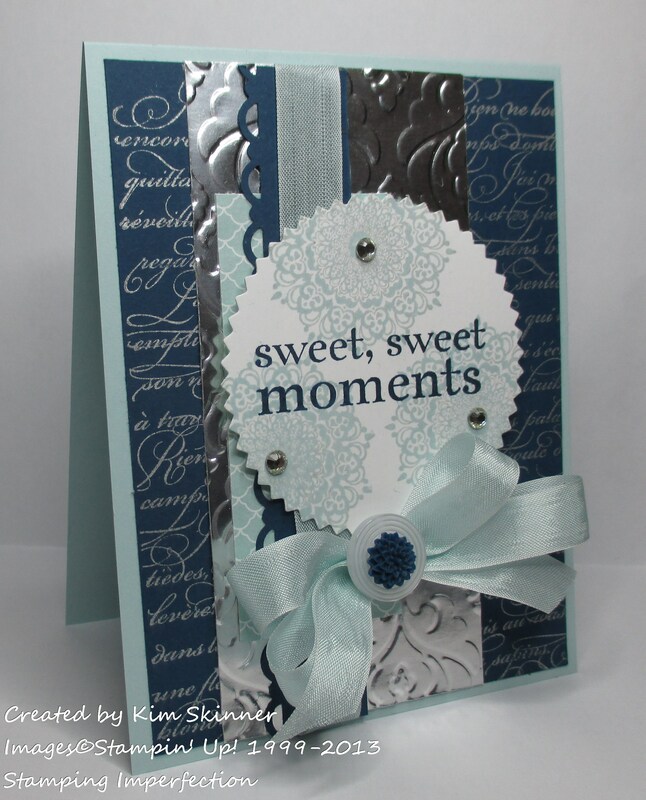 The challenge for today was to create a card using Soft Sky, Silver and Midnight Muse. This is a color challenge and you are allowed to use a neutral. I chose to add some Whisper White to this card. My friend, Holly Krautkremer, has challenges on her blog at the Rubber Redneck Stampede (cute, right?!) that I really love participating in. This challenge is part of her Frosty Kisses Class. I consider Holly to be the master at layering elements! Stampin’ Up! has new weekly deals every Tuesday. 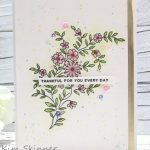 You can find them online at mystampingstore.com. Scallop Trim Border Punch…only $11.96 for the next few days! Get a FREE Foil Flower Shop Tutorial! Have you noticed all the silver and gold accents in fashion, décor, and crafting? Shiny metallics are the hot trend. 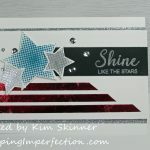 This tutorial gives you 4 unique ways you can use our high-quality Foil Sheets to add metallic accents on your favorite stamping and crafting projects! Would you like to take your cards and scrapbook pages to the next level? Learn 4 techniques that you can use with the Foil Sheets! 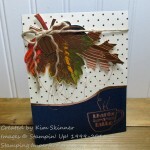 Create 4 cards and a pocket card, plus get bonus ideas and alternate project samples! 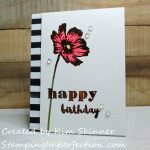 Shop online at mystampingstore.com and get your free Foil Flower Shop Tutorial! Get some new design style and technique ideas to make “WOW” cards!